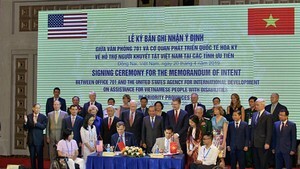 Construction on the Hau River Electrical Center’s infrastructure in Chau Thanh District of the Hau Giang southern province officially got underway on July 18, said a representative of Vietnam Gas and Oil Group (PVN). 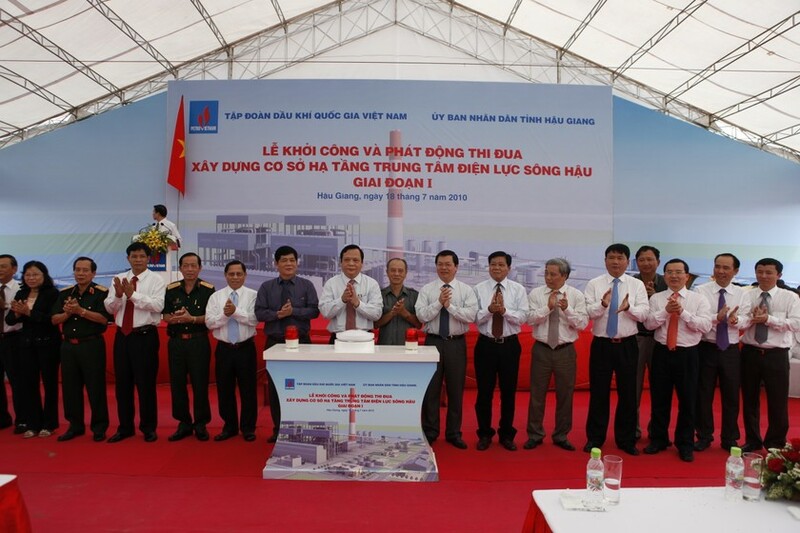 PVN and Hau Giang Province People’s Committee held the groundbreaking ceremony jointly. With capacity of 5200 MW, the electrical center will become the largest in Vietnam once completed. The project includes three coal-fired thermal power plants: Hau River 1 with capacity of 1,200 MW, Hau River 2 with capacity of 2,000 MW and Hau River 3 with capacity of 2,000 MW, with investment capital of VND3,983 billion (US$199 million). It is expected to lay the foundation for the construction of the Hau River 1 Thermal Power Plant in 2011, with a total investment capital of $1.5 billion. Officials expect the Hau River 1 Thermal Power Plant’s first turbine to begin generating electricity by the end of 2015 and the second one should begin generating electricity by 2016. On the same day, construction of the Krong No Hydropower Plant kicked off in Dam Rong District, Lam Dong Province, with capacity of 46 MW. With total investment capital of VND1,150 billion ($57 million), the project is expected to finish in 2013.